Getting a new roof seems daunting, but learning about the process on Roof Spotters’ website is easy. We aimed to create a user-friendly and approachable experience for people in need of a new roof. Roof Spotters wanted their website to present content clean and simple no matter what device you are on. 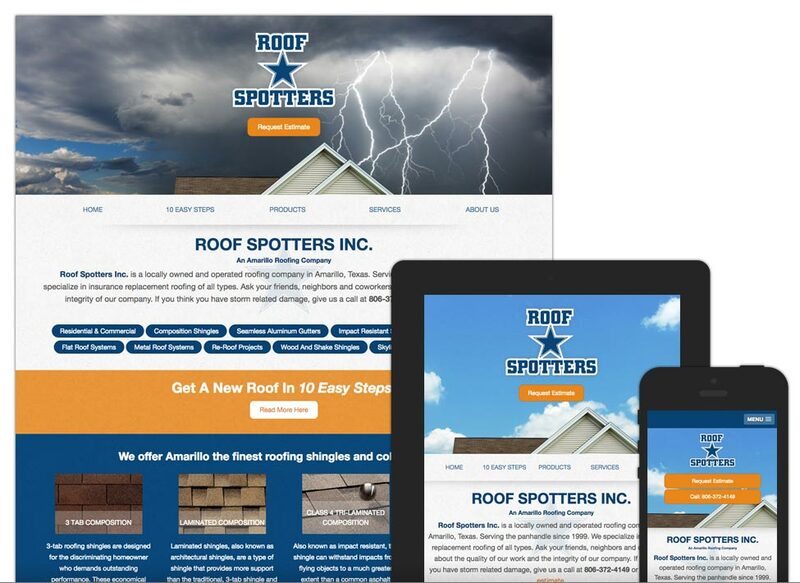 Battling heavy online competition with other roofing companies in Amarillo, TX, we made this website mobile-friendly to give Roof Spotters a leading edge in their search engine rankings.